If you signed up for the April to June Lace Lovers Club, then you should hopefully have received your parcel by now. I think the American and Australian parcels have been arriving too. If it hasn't & you don't want your surprise spoilt, then don't read any further. 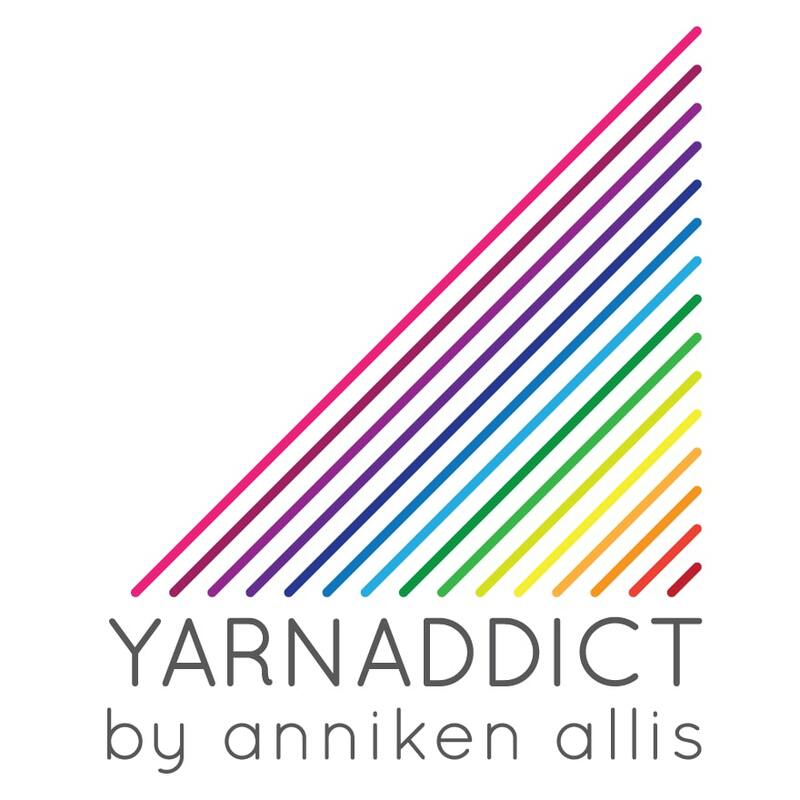 This is April's club yarn. The base is my BFL Dream Socks (which used to be called Silky BFL Sock). It's a blend of silk and bluefaced leicester and is gorgeous. This club is the biggest club I've ever run and it was a challenge to dye all that yarn, especially considering I've done very little yarn dyeing this year but I enjoyed planning and dyeing the colour. Because of the method of dyeing and skeins being dyed in groups of 3, they're all a bit different. I used the same recipe and the same technique but was amazed at how different some of them look. Some were more pink than others. I did dye a few spares so I'm plotting what I can knit with it. Lace Lovers members also get a copy of my new Lace Basics booklet which is a guide to lace knitting. It has photo tutorials for how to work yarn overs/yarn forward, directional decreases, adding beads using a crochet hook, adding lifelines plus info on using stitch markers, knitted on edgings and achieving various shawl shapes. The booklet is 20 pages in total and is included in the Lace Lovers Club membership (only new members, not renewals) and is now available to buy separately as a printed booklet. I'm hoping to list it on Ravelry as a pdf but I need to find out if it's allowed first (it may not be as there are no patterns). There are no patterns in this booklet. This month there was a little cute tin of Fripperies & Bibelots stitch markers. These are my favourite stitch markers and as I highly recommend using stitch markers I decided to include these and I'm hoping to make them a permanent feature in month 1 of future clubs. There's also a pattern included in the club. This month it was the brand new Whitsand Bay, which is a crescent shaped shawl worked from the hem up. Whitsand Bay does start with a lot of stitches but after the elongated stitch edging the stitch count halves for the lace border and after the lace section the stitch count is reduced by one stitch on every row of the eyelet garter stitch short row section. The short row section goes amazingly quickly. I was surprised at how quickly I knitted up this shawl. Once the lace was done, it was easy to knit while I was out and about. This was my first hem up crescent shawl but it won't be the last. Feel sad you missed out on the fun? You can now join the Summer Season (July to September) of the Lace Lovers Club. The club sold out very quickly last time so don't wait too long. There will be a pattern every month, but I can't promise a brand new pattern every month. Memberships include: 3 months, 1 skein of luxury yarn dyed in an exclusive club only colourway, Lace Basics & stitch markers in the first parcel, a free pattern each month. The first month will be sock yarn, second month lace yarn and third month will be either sock or lace. For this first run I'm going to let members choose if they'd like sock or lace for the third month but I've not decided if that'll be permanent yet as I need to find out how well it works this time. Sounds like fun? Join the fun here. We'll also have a club thread in my Ravelry group each month for members to discuss and share progress on their project. I've had to increase the price slightly as postage prices are going up at the end of this month. UK 1st class postage for one skein parcels is going up from £1.96 to £2.70. A huge increase. 1st class postage for parcels used to be in steps of 100gr, 250 gr (which most of my orders fall into & is £1.96), 500gr, 750 gr etc. With the new charges it'll be a huge jump from 100gr to 700 gr which will be £2.70. Good if you order several skeins but bad for smaller 1 or 2 skein orders. It's always been my policy to charge for actual postage so that I can keep yarn prices down. Yarn prices have been increasing too so yarn prices have increased slightly. I've not decided what to do about postage yet. I really don't want to charge £2.70 for 1 or 2 skeins but I may not have a choice. I've not looked at overseas postage yet. I was too shocked when I saw the £1.96 to £2.70 increase. Now for something different. This evening Simon discovered a pigeon nesting in a tree outside out dining room window. We've had a pigeon family in our garden for years and they used to nest in a big oak tree in our neighbours garden but the tree was cut down a couple of years ago. They've obviously decided one of our trees are a good substitute. Em saw 3 eggs in the nest. Unfortunately her bird feeders are in the same tree. She sneaked out to collect them and the pigeon flew off, I hope she comes back. I feel inspired to knit a shawl - mainly because I so want a shawl pin. Thank you for the inspiration.